Proposition 6 was an initiative statute that appeared on the November 3, 1998 California general election ballot. It was passed with 4,670,524 Yes votes, for 59.4 percent of the total votes cast. The proposition added sections 598c and 598d to the California Penal Code, making it a felony for any person in the state to possess, transfer, receive, or hold a horse (defined to include ponies, donkeys and mules) with the intent to kill it, or have it killed, where the person knows, or should have known, that any part of the carcass will be used for human consumption. An additional provision makes it a misdemeanor to sell horseflesh within the state as meat intended for human consumption. The law further allows for anyone previously convicted of selling horsemeat to be charged with a felony in any future prosecutions for the same offense. Only about one percent of California horses were previously slaughtered for horsemeat, primarily for export to markets in Belgium, France, Italy, and Japan. Horsemeat is rarely eaten by people in the United States. ^ League of Women Voters "Proposition 6 Criminal Law: Prohibition on Slaughter of Horses and Sale of Horsemeat for Human Consumption," (1998). 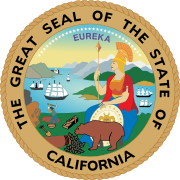 ^ League of Women Voters Archived 1999-10-10 at the Wayback Machine "Proposition 6 CRIMINAL LAW. PROHIBITION ON SLAUGHTER OF HORSES AND SALE OF HORSEMEAT FOR HUMAN CONSUMPTION," (1998). "Criminal Law. Prohibition on Slaughter of Horses and Sale of Horsemeat for Human Consumption. Initiative Statute". California Secretary of State. 1998. Archived from the original on February 24, 2012. Retrieved May 7, 2012.